The recent TEPCO investigation into events during the early phase of the Fukushima Disaster raised a few questions. TEPCO claims they were told by the Prime Minister’s office not to use the word “meltdown”, something the former Prime Minister denies. A TEPCO official was stopped from uttering the word at a press conference and NISA staff were sacked for mentioning a meltdown to the press. 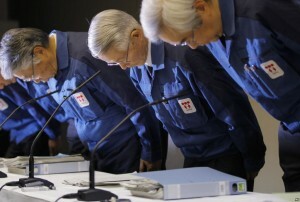 Yet TEPCO is insisting they didn’t hide anything because they provided radiation data and other related information. TEPCO used the phrase “core damage” until May of 2011. Up until May their computer simulations only showed 25-55% fuel as being melted. It is worth noting that computer models are only as good as the data input to run them so what TEPCO put in impacted the result. TEPCO’s own manuals that had been “missing” until a few weeks ago cite anything more than 5% melting is a meltdown. But what actually constitutes a meltdown? 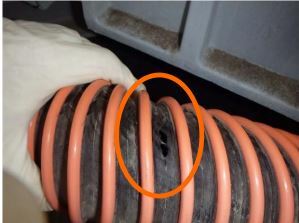 A nuclear meltdown is an informal term for a severe nuclear reactor accident that results in core damage from overheating. The term is not officially defined by theInternational Atomic Energy Agency or by the Nuclear Regulatory Commission. However, it has been defined to mean the accidental melting of the core of a nuclear reactor, and is in common usage a reference to the core’s either complete or partial collapse. “Core melt accident” and “partial core melt“ are the analogous technical terms for a meltdown. As the term meltdown isn’t a commonly adopted technical term this may be part of the problem. Yet “core damage” doesn’t adequately describe a partially melted reactor core. It could mean things like cracks in the fuel cladding. TEPCO didn’t use “core melt” they used “core damage” a rather vague term. General Emergency – Events are in progress or have occurred which involve actual or imminent substantial core degradation or melting with potential for loss of containment integrity or hostile action that results in an actual loss of physical control of the facility. Releases can be reasonably expected to exceed EPA PAG exposure levels offsite for more than the immediate site area. The US terminology is fairly broad but does clearly talk about core degradation or melting as one of the events that could be called a general emergency. This is plain enough to give the average person an understanding that this is a very serious event. March 12 Article 15 for Fukushima Daiichi saying radiation levels exceeded acceptable limits. March 12 Article 64 for Unit 1 Fukushima Daiichi citing paragraph 3 of this article to inject seawater into unit 1. March 11 Article 10, Clause 1 for unit 1 right after Tsunami and loss of incoming AC power though this is not cited in the event for declaring the article. March 12 Article 15, Clause 1 for unit 1 radiation levels exceeded 500 uSv/h, was 1015 uSv/h cited as radiation does exceeded limit at the site boundary. March 14 Article 15, Clause 1 radiation levels exceeded 500 uSv/h, was 751 uSv/h and again 20 minutes later at 650 uSv/h. Declared a 3rd and 4th time during the same morning as radiation levels spiked above 500. 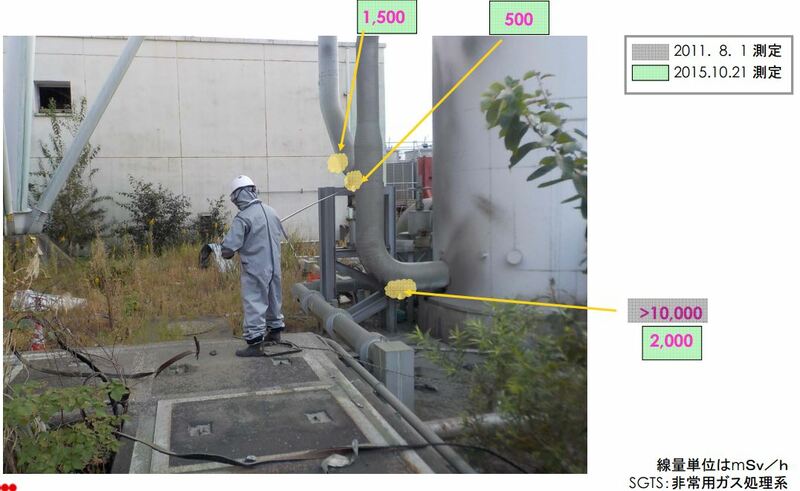 In TEPCO’s timeline they mention events such as water levels dropping to the top of the fuel or near it. TEPCO mentions reporting these to the government or to the “authority” but cites no specific article or mandatory reporting clause. The TEPCO report does not cite water reaching bottom of fuel but other later reports do as we mention in our unit 2 report. What all of this timeline data shows is that these more catastrophic events such as the reactor core becoming uncovered, or core damage appear to not have been included in the mandatory reporting articles. Article 64 appears to include specifics related to venting the reactor and injecting of seawater but this article was not declared at any other point. From what we can currently find there appears to be no specific article reporting in Japan for core damage or core melting. This regulatory gap may have contributed to the vague admissions by TEPCO and NISA since no hard fast rule appears to have been in place to require them to admit specifically that the core has melted. The US reporting also could fail to specifically disclose this if it were to happen among other factors that would have already created a general emergency declaration.